As the majority of the people that are listening to the podcast have their own businesses, it is interesting to share and help each other with the aspect of growing that business. Martina and I explore all of these tools and invite you to share your ... See More own as well. 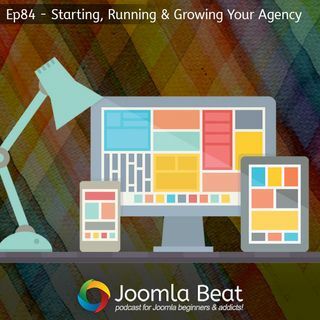 In this episode we also have a look at some Joomla related news items as well as launching the JBeat Survey, we want to know more about our listeners so we can better tailor the content to you.